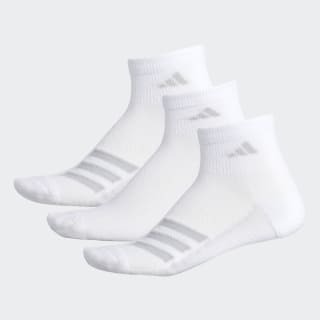 A three-pack of ventilated training socks. Keep cool during your workout in these training socks. The lightweight, quarter-length socks feature mesh on top to allow air to circulate so feet stay cool and dry. Cushioned zones in the heel and toe provide long-lasting comfort. They come three to a pack.